For ultra-high net-worth individuals, the burden of preserving and transferring wealth across generations has become riskier and more complex. What’s even more difficult, is the challenge of engaging and involving other family members. A long-term view of these concerns may resolve both issues. Picture the impact of your family’s wealth 50 or 100 years from now, what would you like that history to reveal? The narrative certainly includes growing your family’s capital, but has that growth been accomplished in a way that encourages family unity, happiness, health and personal growth? Establishing a clear baseline for open and effective communication necessitates trust among family members and an understanding that all have an equal voice in articulating what’s important. The very process of defining a family mission or values statement can play an important part in helping create this atmosphere of trust and respect. Simply put: a family’s financial capital cannot be expected to grow over time without nurturing the collective social, spiritual and intellectual capital as well. This combination provides for a strong foundation for a family’s long-term legacy. The values that help a family create its wealth are values that can also build a secure, harmonious and dynamic future. Such historic outcomes, however, don’t arrive by chance, they require a plan that sets goals, establishes a structure to facilitate accomplishment of objectives and assigns principles to inform the spirit of how that plan is carried out. 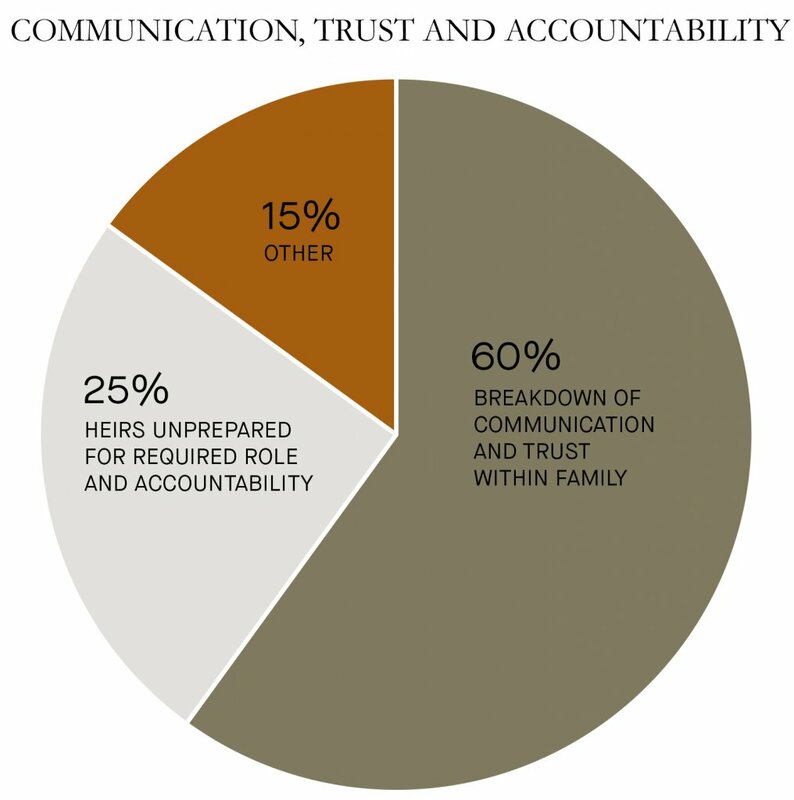 At a family office, that plan is known as a mission or values statement, or a family charter. It’s designed to inform, align and guide investment, legal, estate, tax and other professionals when they consider strategies, plans or programs designed to grow assets and preserve wealth for the benefit of future generations. And it’s as important as it is strategic. Such is why advisors often recommend clients begin their journey by gathering as a family to consider developing a mission statement. A well-conceived statement emphasizes that family wealth is an ongoing business pursuit, rather than an extension of the dinner table – hence why it’s crucial to involve all family members in its creation. For some, this will formalize the transfer of wealth or set standards related to employment within a family business, while for others it provides an opportunity to engage and educate those who haven’t previously been involved in financial planning and decision making. Throughout this process, vision and values become an important part of family meetings, typically held quarterly. During a four- or five-hour gathering, benchmark analysis or technical discussions on estate planning, investment strategies and governance are a crucial means of continuity planning. And while these discussions may be complicated, having a clear values-based framework can help bring some clarity to what drives the ultimate decision. And a statement can help define the responsibility of family members regarding long-term financial planning and sets out the roles each parent, sibling, grandchild and in-law must play in advancing common goals. Effective governance standards – or rules for joint family decision-making – can increase transparency, reduce conflict and accommodate evolution over time. Moore adds that those complex, multi-generational conversations provide advisors with the history and context to help families navigate those occasions when they must make difficult wealth, business or personal decisions. A mission statement isn’t the end of family involvement, it’s the beginning: a blueprint for a family to move forward, together, in financial and life matters. Support the family’s own governance process for open communication, respect, and unity. How does an individual start to involve other family members? I often find individuals feel relieved when they lay all their chips on the table and they know that one party understands and is equipped to handle the different layers of decisions that need to be made. 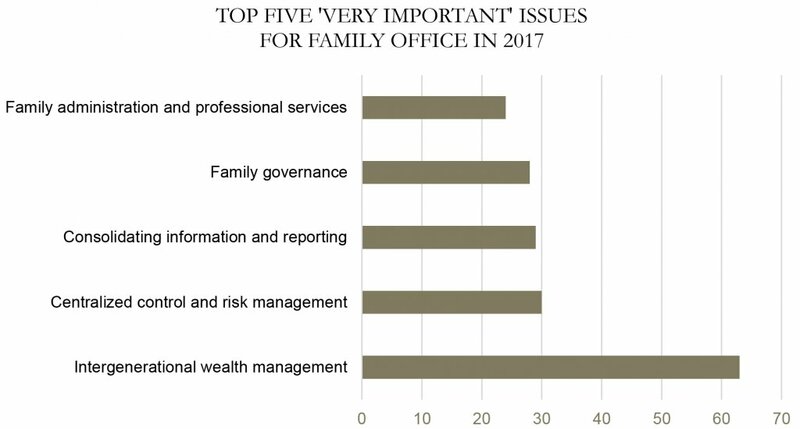 A family office introduces continuity should something happen to that key person, helps to transmit values to next generation and advises what type of information to share with them. How does an advisor integrate family needs? The role of an advisor is not necessarily to represent the father, the mother or the children, but to represent the family unit and weave together priorities that are important to all. For the family, it’s important to know there’s a party who is aware of both financial and non-financial matters and understands family context. And with that knowledge and context, better-integrated decisions can be made.